The duchess’ pregnant younger sister, Pippa Middleton, entered the maternity wing of St. Mary’s Hospital on Monday afternoon, The Daily Mail reports, fueling speculation that her baby is on the way. In photos obtained by the outlet, Pippa’s hubby, James Matthews, carried what appeared to be two overnight bags in his hands as he walked into the Lindo Wing. While Pippa wasn’t pictured, the site reported that she was seen smiling and wore a long blue coat, white shoes and sunglasses as she made her way inside. The hospital wing shares a special significance for the Middleton sisters. Kate gave birth to her three children – George, Charlotte and Louis – at the same facility, posing with each infant for the first time on the same steps that Pippa and James entered through. Pippa first announced she was expecting a child this summer, breaking the news in a fitness column for Waitrose Weekend. 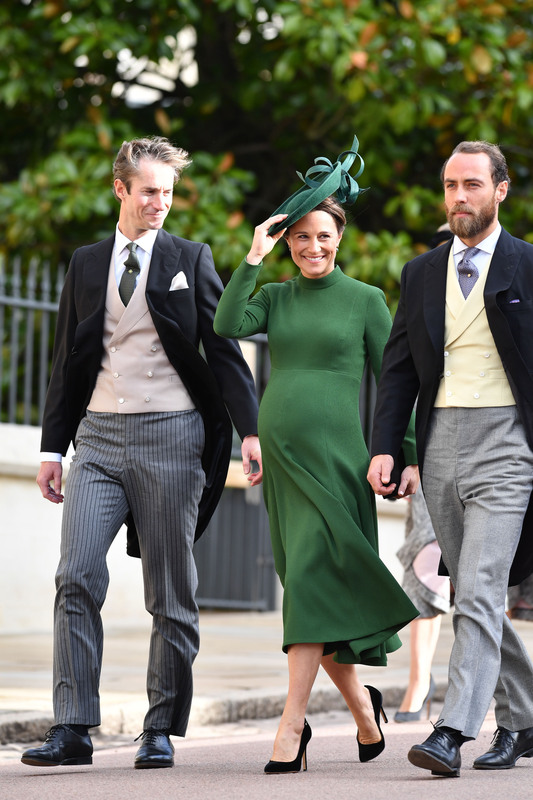 While the mom-to-be has not made her due date public, she flaunted her prominent baby bump in an emerald green frock at Princess Eugenie’s royal wedding to Jack Brooksbank on Friday. 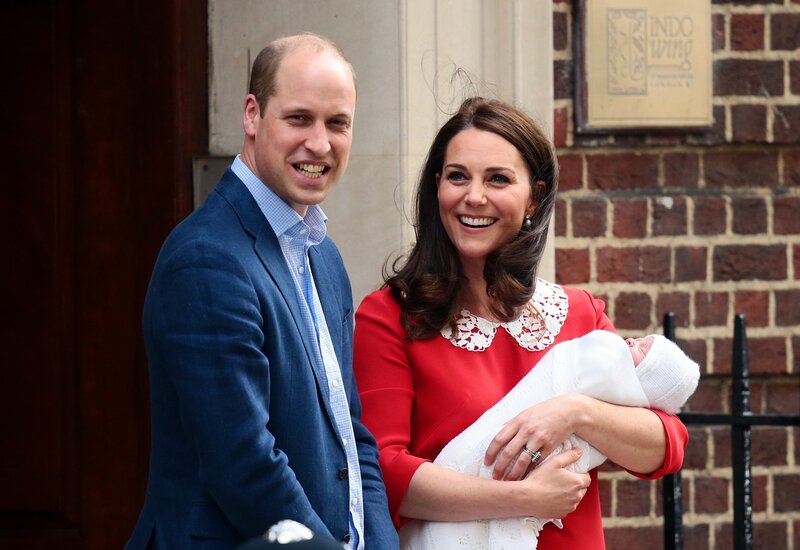 The 35-year-old’s hospital trip isn’t the only exciting royal baby news making headlines this Monday. Earlier this morning, Kensington Palace announced that Prince Harry and Meghan Markle are expecting their first child next spring – meaning William and Kate will soon be an uncle and aunt twice over! WATCH: How Meghan Markle Hid Her Baby Bump With Strategic Style Choices!